When in good taste and style, no corner of the house should be forgotten, remember not only the dining room or living room, are the environments that reflect the careful and meticulous you can be when decorating, this should be reflected from the entrance to your home. 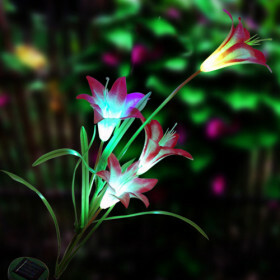 For this reason is that then we bring you some ideas for garden lights in your home. 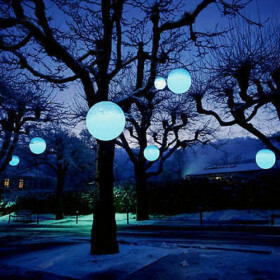 Beauty lamps hanging on the branches of your trees or some gate you have placed in the garden, are made of plastic and inside wear a white LED. 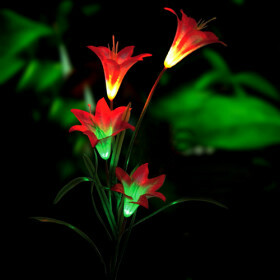 And would you like to have a bouquet of flowers during the day surprised by its beauty and at night, by its brightness. 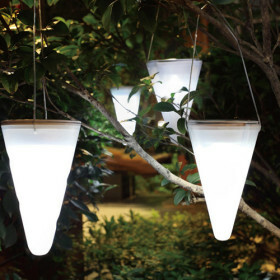 These types of lights are made of resin and come in various models, then we present only two of them. 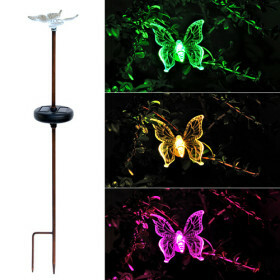 And if you want to breathe life into your garden, these butterfly shaped lights are perfect, they have a metal base, but also the color of each one of them is constantly changing. 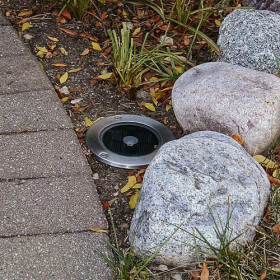 This is a type of lighting that has not lost, it is recessed lighting on the floor and covered completely, have a stainless steel base, ensuring its preservation. 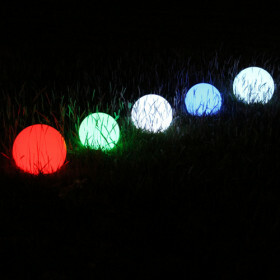 And if you liked the idea of the lamps or pendant lights, here's another model, this time in the form of balls, you can also choose the option to change colors. 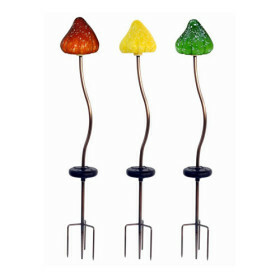 Finally, the previous model, also looks good when placed on the floor of the garden, and the colors can be changed to provide soft and bright colors.